NEW YORK –- Permanent Representative of St. Kitts and Nevis to the United Nations, His Excellency Sam Condor, attended Federation of World Peace and Love Summit (FOWPAL) at the United Nations in New York. FOWPAL was established in the United States in 2000 by Dr. Hong, Tao-Tze. 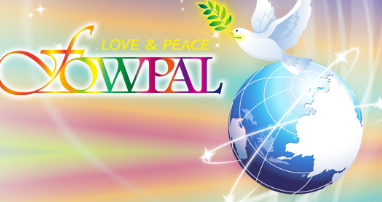 FOWPAL was founded as a Non-Governmental Organisation whose sole purpose is to actively spread the idea of love and peace and promote world peace through various means, including cultural exchanges and solemn ceremonies of ringing the Bell of World Peace and Love. The Feb. 5 Summit was co-hosted by the Permanent Mission of Equatorial Guinea to the United Nations. Before ringing the Bell of World Peace and Love, President Mbasogo remarked that the importance of a country is not in its size but lies with the issues it meaningfully addresses in the interest of the people. He further stated that well thought out global policies and greater commitment to diplomacy will help guide leaders to finding more peaceful solutions to the turmoil in the world. President Mbasogo took great pride in declaring that Equatorial Guinea is a sovereign state that strives to uphold the tenets of liberty and equality.